Originally I had requested an ORCA Grant to aid in the creation of an ethnography documentary video on a qualitative research study of community-­level efforts to preserve languages and cultural heritage among Pasifika immigrants living in the Auckland, New Zealand Metro area. The younger generations of these communities do not speak their native languages with a high level of proficiency and many scholars have expressed concerns that these languages, and their accompanying cultures, are at a risk of eventually being lost. The Pasifika Education Center is an organization that has provided tertiary educational programs, helped sponsor language weeks, and offered community outreach services. With a group of twenty-­one students from Brigham Young University, I lived in Auckland for a month and a half. I conducted interviews with local families from the Samoan and Maori culture. Unfortunately, despite the interviews and filming that I had done on my own, I was unable to meet with any representative from Pasifika until my last week of the New Zealand Study Abroad. The President of Pasifika’s father passed away the first week of our journey. In accordance with Samoan customs, she left work for an entire month to mourn with her family in Samoa. Thus, I was unable to work with the Pasifika Education Center to create an ethnography documentary that they could use to help in their campaign against the government, who is trying to cut their funding. Though I was not able to follow through on my original proposal, due to circumstances outside of my control, I was able to become one of the project managers of a blog called Fight for the Few. Fight for the Few’s mission is to raise awareness on minority issues. Through the connecting power of social media, Fight for the Few offers a platform for the underestimated. The project began a semester before the Communications Study Abroad in New Zealand, but was given to me and a few other individuals to run over our three-­month expedition. As a representative of religious university, I began looking for ways that my fellow classmates and I could tell faith-­based stories of minorities through the power of blogging and video blogging. The most popular video that we produced on the blog was entitled “Maori & Mormon: Perspectives on Culture ft. Wedding Haka Couple”. Within the last year, this three-­ minute video has reached over 300,000 views on YouTube. In this film we explore the relationship between the Maori culture and their religious beliefs in the LDS faith. Various millennial members of the Mormon faith explain how they feel they are able to connect with their Maori heritage through spirituality. The Armstrong family is prominently featured throughout this video as they became viral internet sensation after someone filmed their family performing an emotional Haka for them at their wedding reception. Their video was featured on prominent news media sites, like BBC News. The Armstrong’s willingness to do a sit down interview with us brought an immediate audience to our video, as they have a strong social media following. Another video project that I headed for Fight for the Few was a video on former Prostitutes in New Zealand who shared their stories on how they reformed their lives through discoveries of faith in God and Jesus Christ. With the help of New Zealand’s Freedom from Sexual Exploitation organization, the women featured in “There is Nothing Glamourous About it” are protesting the government to re-­criminalize prostitution, which was legalized in 2003. Throughout the last year, this video has had over 3,100 views on the Fight for the Few’s website. New Zealand’s Freedom from Sexual Exploitation organization uses these videos in their quest to protest the legalization of prostitution, as it has resulted in greater self-­trafficking for children. One of the ways in which they help women get out of prostitution is by enrolling them in Sunday School classes in their local Baptist Church. Our video research on prostitution in New Zealand became a two-­part series, the second video being called “Not Totally Healed”. Both of these videos have been shown in various film classes by Media Arts Professors at Brigham Young University. 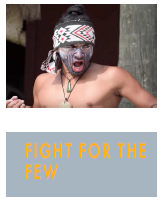 Though the documentary projects I completed on my Communications Study Abroad to New Zealand were not originally intended nor proposed to the ORCA Grant Committee, I was quite proud of the work I accomplished for the promotion of BYU Communications College’s blog, Fight for the Few. Thanks to the donations of ORCA sponsors, I was able to create not only fascinating video content, but popular content that people wanted to watch. My short documentaries are being used in university settings and in campaigns against prostitution in New Zealand. Thanks to ORCA and ORCA sponsors, I have been able to create a professional portfolio that has helped me land an internship with NFL Films in Mount Laurel, New Jersey during the Spring/Summer of 2017. I am grateful for what the ORCA Grant has allowed me to accomplish, and I hope that one day I, too, will be able to give back to other young videographers who are trying to use the power of film to disseminate light and truth into the world.